Chicken Coop Designs - FREE CHICKEN COOP PLANS! But now that we’ve moved I’m again back to square one in building a new coop. Since it had been so long since building my last coop, I scoured the net for a functional, yet nice looking coop – yes, both form and function is okay right?There are hundreds of different chicken coop designs out there so narrowing it down to just the right one for you can be challenging. I hope to provide enough information for you to make the decision a bit easier! How Many Chickens Will You Have? If you’re looking to build a coop, I’ve included a bunch of links to free plans on the right side of page! You’ll be limited to only those designs…but there are a lot of plans there which are very functional, lovely, and did I say FREE! When looking over those plans, you can always add your own design twists too. If you are simply wanting to raise a small number of chickens for egg production, you’ll want to look at a coop that will house 2 – 10 chickens…Having said that, if you are looking at getting around 10 chickens, you will likely be wanting a medium sized coop. More on this in a bit. They often do not have floors and can be moved every few days or weeks from one part of your lawn to another so the grass does not get trampled down. 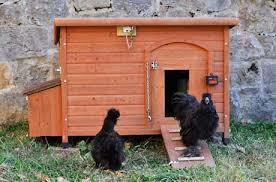 This is ideal for raising chickens in urban areas where there may be limited space for them to run around. It’s also beneficial for both your chickens and your lawn. The chicken droppings provide great fertilizer for your lawn and, by moving the coop often, the chickens get access to new bugs and fresh grass. Plus, you don’t have to worry about cleaning up the droppings! If chicken tractors aren’t your ideal design, there are TONS of small coops that will work nicely. 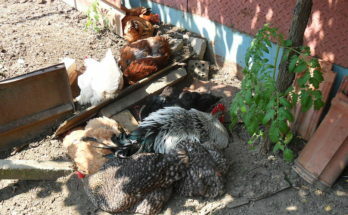 If you live in an urban setting, a small coop positioned right where you want it will be just fine! 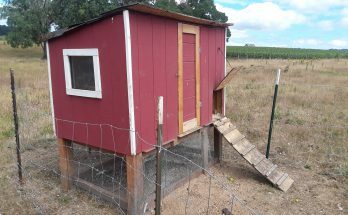 Small chicken coops like this may not have the convenience of wheels (like chicken tractors) for moving to different areas of your yard, but because of their smaller stature, they can still be picked up and moved with 2 or more people. Whether you choose a mobile or stationary design for your coop is entirely your preference and what works best for your situation. 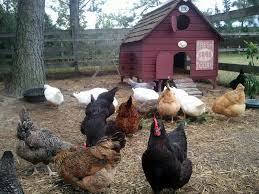 Really, any coop that will house 10 or more chickens can be considered a medium to large sized chicken coop. If you want (or already have) a large flock of chickens, you will be looking at bigger designs. A coop designed for a large flock is less likely to be mobile, but I have seen pictures of some very large coops that are on wheels and can be moved. Generally speaking though, it’s more likely to be stationary which also has its advantages. A coop similar to the one pictured (right) can likely house up to 50 or more chickens. 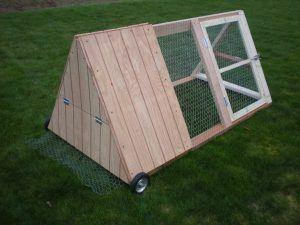 You may not want that many chickens, but it never hurts to build your coop a little bigger than you think you’ll need. I realized this very early on in our chicken raising adventures. 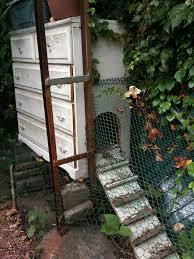 Our original plan in 2003 was to house 8 – 10 chickens. So our 4’x8′ coop allowed plenty of space for that flock size. But we quickly found out that raising chickens was a lot of fun and we suddenly wanted more! 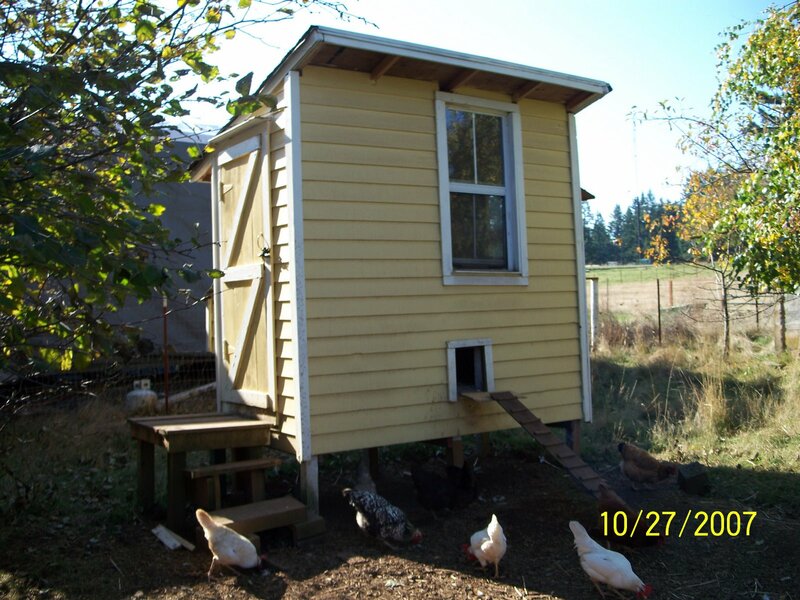 We were fortunate in that we also had an another shed on our yard that we were able to convert into another coop. This allowed us to grow our flock size to nearly 60 chickens over a span of 12 years. Perhaps you are more disciplined than we were in keeping your flock to a certain size…but I wanted to share our experience as something to consider when designing your own coop. 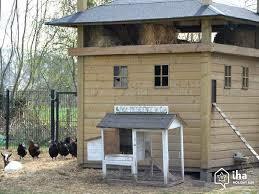 To check out pre-assembled coops you can buy online, check out these. If you’re OK with using a plan or picture as simply a guide for building your own coop, that can really open up a lot of design possibilities. For example, you can check blueprints of coops online or try to simply replicate a design just from looking at a good picture of a coop. That’s essentially how I made my own coop. As I mentioned earlier, there were a lot of points during the project where I felt overwhelmed and had to go back online or check in with a carpenter friend on what to do next. But the advantage of using this method is that I could adjust the width, length, and height to suit my own personal needs. For example, if you see a design for a coop online and decide you want to build one similar but, after checking the dimensions, you realize it’s way too big or small for your purposes. Then you can simply adjust the dimensions to the size of coop you’re wanting to build. By really studying a good plan or picture of a coop, you can get a pretty good idea of what it will take to make a similar structure. Obviously this will make building the coop a bit harder, but it still allows you to build a coop of the same design…but to your own specs. If the thought of making these modifications scares you, I don’t blame you! We all come to a project like this with varying degrees of construction experience. So if you want a detailed plan, you can simply find a free or cheap alternative on this website or pay for a detailed plan. I include links to FREE coop plans on the side of the page! But if you don’t want to use those, and are okay with spending money on a more detailed plan there are hundreds (thousands really) available on the web! A simple google search will pull up a ton. One site that has great plans is here. There are an overwhelming number of plans to choose from on Ted’s site, but I like the detailed yet simplistic coop plans he provides. 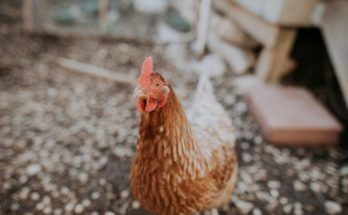 I hope you found a few helpful tips here – please feel free to peruse around the site for other things related to chicken coops or raising chickens! If you have any experience building or buying a coop, please leave a comment below – I don’t claim to have all the answers and we can all learn from each other! Thanks for visiting.